When we talk about hair loss, we immediately think of hair loss in men, and it is an issue that only affects them. It is also essential for women to know that they can also suffer from hair loss and balding. These are 8 Truths about Balding Every Woman Should Know. Losing hair is not uncommon in women; however, talking about thinning hair becomes incredibly stressful and embarrassing even if among your own. Almost all women experience hair loss at some point in time in their lives. There are many symptoms of hair loss, but all do not lead to permanent hair loss. Losing hair, especially in women, can become a very traumatic and emotional experience; hence it is important to know the causes of hair loss in women as it will help in managing the situation. Regardless of our health or age, we all experience some hair loss. Losing anywhere from 50 to 100 hairs a day is normal as per The American Academy of Dermatology. However, shedding of anything upwards of 150 strands a day counts as excessive shedding or loss. Distinguishing between shedding of hair and loss of hair is essential. When hair sheds, it can keep on growing back. Hair loss means the hair does not grow back again. Men frequently look to their fathers, grandfathers, and other male relatives as a gauge of whether they can anticipate going bald. The same is for women as well. If your mother or grandmother have experienced hair loss, it is most likely that you also share the same genes and will show similar symptoms. The primary cause for hair loss in men and women is due to androgenetic alopecia. 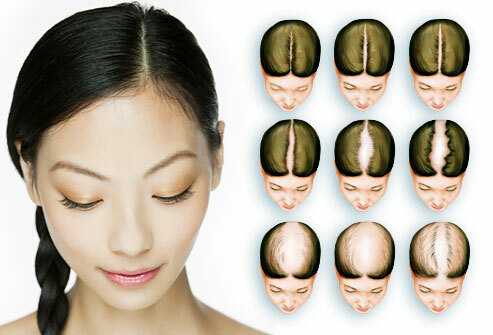 The condition is called pattern hair loss and is seen in the family history. About 33% of women will experience the condition in their lives. While it impacts both genders, men and women display hair loss in different ways. Men typically have a receding hairline, while women are more likely to have a diminishing part line. Ringworm is a fungal infection that causes redness and itchy rash on the skin. It can happen all over your body, but ringworm of the scalp is relatively common, and that causes hair loss. Dermatophytes are fungi that attack the hair shaft and skin which causes bald patches, or rings. Anyone can contract ringworm, but if you work with animals or children or are involved in sporty and physical activities where you sweat a lot and wear restrictive clothing, there is a higher risk of getting infected with ringworm. Unlike the reasons mentioned above for hair loss, hair pulling is a mental condition rather than a physical one. 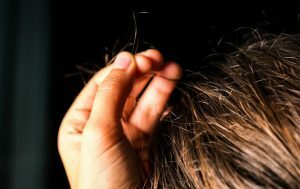 The condition is called trichotillomania and is characterized by an overwhelming need to pull one’s hair out. Stress, anxiety, and OCD are typically the primary causes of hair-pulling compulsion. Regardless of whether women are pregnant, or taking birth control pills, or experiencing menopause, changing hormone levels incur significant toll on their bodies. The shock of a drastic change in hormone levels, caused by anything from a new method of birth control to menopause, can lead to hair loss and thinning by triggering the hair to stay in a ‘resting’ cycle for an extended period. During this time, hair falls out without being replaced; however, the condition is usually temporary. Experiencing a traumatic event can affect our bodies more than we realize. Going through something that is emotionally or physically intense, like a major surgery, grieving the loss of a loved one, childbirth, or any other form of extreme stress can lead to hair loss as explained by The American Hair Loss Association. Fortunately, this is often temporary, and hair may eventually start growing back. Being a girl often means spending and investing a lot of time and energy on your hair. Hairstyles that pull the hair and use of excessive heat tools or harsh hair products can, in fact, do more damage than good. Tension and heat can damage hair, so it is smart to save the curling and blow-drying for special occasions. There are many side effects of the medication you are taking which you are perhaps well aware of. People often; however, believe they have genetic hair loss when they have lost their hair because of the drugs. Some of these drugs include seizure medication, antidepressants, anti-inflammatory drugs, blood thinners, and even birth control pills. So if you experience thinning of hair, double-check the warning labels on the medication you are using to see if there are any side-effects or check on the internet.